The art market often likes to believe it is immune to mercenary forces affecting most retailers, and is reticent in adopting new technology—the romantic encounter between collector and object cannot, after all, be simplified into an algorithm. Or can it? If millennials trust apps to find love, why not use them to find paintings? Earlier this year, Sotheby’s share price spiked when it bought Thread Genius, an artificial intelligence (AI) company; the online auctioneer Paddle8 merged with tech company The Native so it can introduce blockchain-based sales; and Hollywood star Leonardo DiCaprio invested in Magnus, the so-called “Shazam app for art”. But what is passing fad and what is the 2018 equivalent of the email? And is any of it relevant to Old Masters and a fair like Tefaf Maastricht? Mentioning AI in the same breath as a bastion of tradition like Tefaf seems as incongruous as placing a work by Leonardo in a contemporary art sale. Yet we all know how that ended. Change can happen, even in this traditional world. 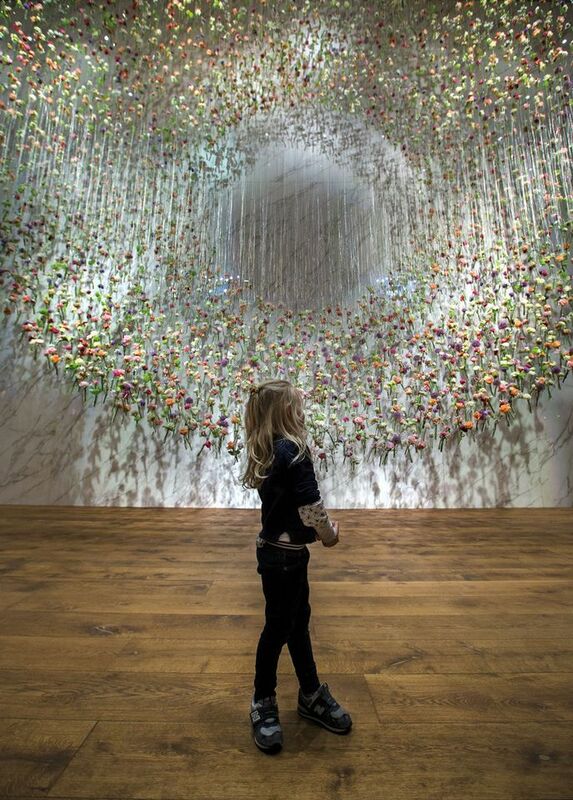 Five years ago, most Tefaf exhibitors were not on Instagram. Now many are embracing it. Emma Ward, the managing director of Dickinson gallery, says she has had offers for works on Instagram, and dealer Jorge Coll of Colnaghi concurs: “We’ve generated sales through it,” he says. But Tefaf’s 2017 online-focused art market report, written by Rachel Pownall, found that a third of exhibitors still operate offline only, and 20% had no intention to move online. Yet, as Pownall noted, millennials came of age during “this massive intrusion of mobile technology”; her survey found that 57% of Americans aged 25 to 34 were comfortable buying art online, and she concludes: “There is no doubt of the sheer potential of digital and mobile channels to impact the art business”. Jucikas believes that by combining first-party data (attendance or sales information) and outside sources (such as consumer and social media data), AI can help understand personality type and motivations—more telling than simple demographics. AI companies often construct their categories on more sophisticated versions of the “Big Five” personality test, based on five key traits: openness, conscientiousness, extroversion, agreeableness and neuroticism. This could help predict someone’s taste in art and antiques too. Meanwhile, those who enjoy the speculative world of contemporary art are extroverts, open to new experiences and not risk adverse. They might also be attracted to a challenging Old Master. Carry this idea forward, and clock dealers might find new clients by advertising in medical or engineering journals. A bit sci-fi? Perhaps. But as the amount of data increases and the cost of technology decreases, AI could be another tool to help bring those digital natives to the Golden Age.